NORTHRIDGE, California — HARMAN’s Studer is continuing its free Studer Broadcast Academy certification events with two new dates at the HARMAN International campus in Northridge, California. 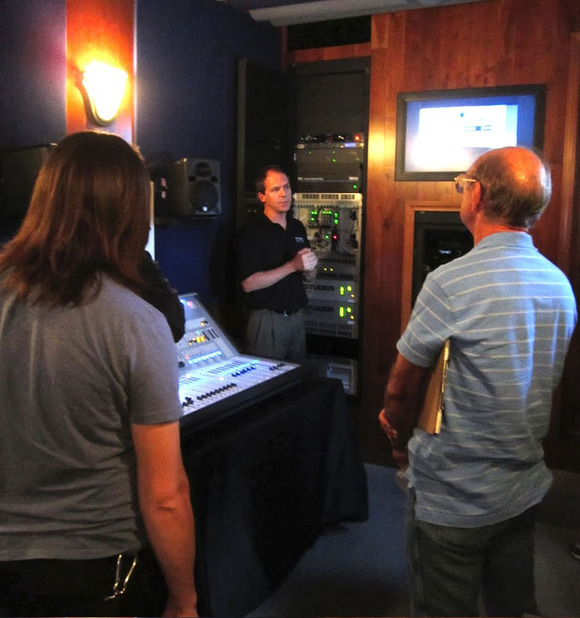 The sessions will include Vista Foundation and Vista Intermediate modules for training aboard the Soundcraft Studer Truck. The Studer Broadcast Academy sessions will offer attendees the opportunity to learn on Studer’s flagship Vista 9 console, as well as the new Vista 5 22-fader console. Vista Foundation modules will be held on Tuesday, May 15, 9 AM-noon and repeated 2 PM-6 PM. Vista Intermediate modules will be held on Wednesday, May 16, 9 AM-noon and repeated 2 PM-6 PM. The Vista Foundation introductory module provides a unique opportunity to work with Studer factory experts to learn the basic operating philosophy and signal flow of the Vista mixing system and provide an overview of the surface. It includes plenty of hands-on time with the consoles to enable students to get comfortable with the renowned Vistonics™ user-interface, the layout and operation. Attendees will also learn the role of each segment of the Vista system, from the point of entry at a mic pre, following the signal flow through to bringing that mic to a channel on the surface. This is a perfect module for those completely new to the Vista consoles and even audio, and also for those needing a basic refresher course. Pushing deeper into the Vista operation and feature set, the Vista Intermediatemodule takes what has been learned in the Foundation module and applies it to broadcast-specific scenarios. Sessions on the I/O, DSP allocations, and Core technology go those extra steps for engineers looking to fully understand the operation of each and every card and section of the back-end operating system. The Vista Intermediate module will also go much further into the nuances and functions of the Studer software patch-bay. The HARMAN International campus is located at: 8500 Balboa Blvd, Northridge, CA, 91329. For more information, please email Studer-usa@harman.com or contact Katy Templeman-Holmes at 818-920-3295. If interested parties can’t make one of these dates but would like to attend, please contact Studer and request the Studer Broadcast Academy On Demand, and schedule your own private session on the truck for you and or your colleagues.